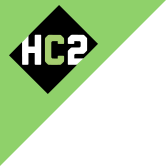 Board of Directors | Investor Relations | HC2 Holdings Inc.
Philip A. Falcone has served as a director of HC2 since January 2014, and as Chairman, President, and Chief Executive Officer of HC2 since May 2014. Mr. Falcone served as a director, Chairman of the Board and Chief Executive Officer of HRG Group, Inc. (f/k/a Harbinger Group Inc., “HRG”) from July 2009 to November 2014. From July 2009 to July 2011, Mr. Falcone also served as the President of HRG. Mr. Falcone is also the Chief Investment Officer and Chief Executive Officer of Harbinger Capital Partners LLC (“Harbinger Capital”), and is the Chief Investment Officer of other Harbinger Capital affiliated funds. Mr. Falcone co-founded the funds affiliated with Harbinger Capital in 2001. Mr. Falcone has over two decades of experience in leveraged finance, distressed debt and special situations. Prior to joining the predecessor of Harbinger Capital, Mr. Falcone served as Head of High Yield trading for Barclays Capital. From 1998 to 2000, he managed the Barclays High Yield and Distressed trading operations. Mr. Falcone held a similar position with Gleacher Natwest, Inc., from 1997 to 1998. Mr. Falcone began his career in 1985, trading high yield and distressed securities at Kidder, Peabody & Co. Mr. Falcone has been a member of the Board of Directors of Inseego Corp. (NASDAQ: INSG), a provider of intelligent wireless solutions for the worldwide mobile communications market since 1994 and has served as Chairman of the Board since May 2017 and as a member of its Audit Committee since June 2017. Mr. Falcone also serves as a director at several of HC2's subsidiaries. Mr. Falcone received an A.B. in Economics from Harvard University. Robert V. Leffler, Jr. has served as a director of HC2 since September 2014. Mr. Leffler is semi-retired but now operates Milton Drive Consulting, LLC. He formerly owned The Leffler Agency, Inc., a full service advertising agency, from 1984 to 2016. The firm specialized in the areas of sports/entertainment and media. Previously headquartered in Baltimore, the agency also had an office in Tampa and operated in 20 U.S. markets. Leffler Agency also had a subsidiary media buying service, Media Moguls, LLC, which specialized in mass retail media buying. Mr. Leffler previously served as a director and Chairman of the Compensation Committee of HRG from 2008 to 2013 and a director and Chairman of the Compensation Committee of Zapata, Inc. from 1995 to 2008. Mr. Leffler holds a B.A. in social science/history from Towson University and an M.A. in Urban Studies and Popular Culture History from Morgan State University. Wayne Barr, Jr. has served as a director of HC2 since January 2014 and is a director of several of HC2’s subsidiaries. Mr. Barr is the principal of Oakleaf Consulting Group LLC, a management consulting firm focusing on technology and telecommunications companies, which he founded in 2001. Mr. Barr also co-founded and was president from 2003 to 2008 of Capital & Technology Advisors, a management consulting and restructuring firm. Mr. Barr served as Managing Director of Alliance Group of NC, LLC, a full service real estate firm providing brokerage, planning and consulting services throughout North Carolina to a wide variety of stakeholders including landowners, developers, builders and investors, from 2013 through March 2018. Mr. Barr has previously served on the boards of directors of several companies and is currently on the Board of Concurrent Computer Corporation (NASDAQ: CCUR), where he serves as Executive Chairman, President and Chief Executive Officer, and Aviat Networks, Inc. (NASDAQ: AVNW). Mr. Barr received his J.D. degree from Albany Law School of Union University and is admitted to practice law in New York State. He is also a licensed real estate broker in the state of North Carolina. Warren H. Gfeller has served as a director of HC2 since June 2016. He has been a member of Crestwood Equity GP LLC’s board of directors since March 2001. He served as a director of Crestwood Midstream GP LLC from December 2011 to October 2015. He has engaged in private investments since 1991. From 1984 to 1991, Mr. Gfeller served as President and Chief Executive Officer of Ferrellgas, Inc. (“Ferrellgas”), a retail and wholesale marketer of propane and other natural gas liquids. Mr. Gfeller began his career with Ferrellgas in 1983, as an executive vice president and financial officer. Prior to joining Ferrellgas, Mr. Gfeller was the Chief Financial Officer of Energy Sources, Inc. and a Certified Public Accountant at Arthur Young & Co. He also served as a director of Inergy Holdings GP, LLC (2001-2013), Zapata Corporation (1997-2009) and Duckwall-Alco Stores, Inc. (2003-2009) Mr. Gfeller received a Bachelor of Arts degree from Kansas State University. Lee S. Hillman has served as a director of HC2 since June 2016. He has served as President of Liberation Advisory Group, a private management consulting firm, since 2003. Mr. Hillman has also served as Chief Executive Officer of Performance Health Systems, LLC, an early-stage business distributing Power Plate™ and bioDensity® branded, specialty health and exercise equipment since 2012, and its predecessor since 2009. From February 2006 to May 2008, Mr. Hillman served as Executive Chairman and Chief Executive Officer of Power Plate International (“Power Plate”) and from 2004 through 2006 as Chief Executive Officer of Power Plate North America. Previously, from 1996 through 2002, Mr. Hillman was Chief Executive Officer of Bally Total Fitness Corporation, then the world’s largest fitness membership club business. Mr. Hillman has served as a member of the Board of Directors of Lawson Products, Inc. (NASDAQ: LAWS) since January 2004, where he has served as the Lead Independent Director since March 2017 and as a member of the Audit Committee since 2010 as well as Chair of its Compensation Committee since 2006. He has also served as a board member and Chair of the Audit Committee of Business Development Corporation of America since February 2017 and as trustee and member of the Audit Committee of Adelphia Recovery Trust since February 2007. From July 2016 until December 2017, Mr. Hillman served on the Board of Directors of Professional Diversity Network, Inc. (NASDAQ: IPDN), serving as a member of its Compensation Committee and Nominating Committee in 2016 and chairing its Audit Committee from 2016 until his departure from the board in 2018. Previously he has served as a member of the Board of Directors and as the Chairman or as a member of the Audit Committees of HealthSouth Corporation (2003-2005), Wyndham International (2004-2005), RCN Corporation (where he was Chairman of the Board) (2004-2010) and Bally Total Fitness Corporation (where he was Chairman of the Board) (1996-2002). Mr. Hillman holds a B.S. in Finance and Accounting from the Wharton School of the University of Pennsylvania and an M.B.A. in Finance and Accounting from the Booth School of Business of the University of Chicago. Mr. Hillman is a Certified Public Accountant and former audit partner with Ernst & Young.